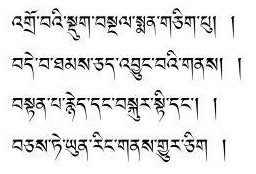 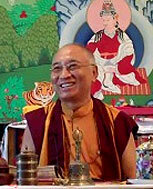 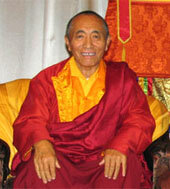 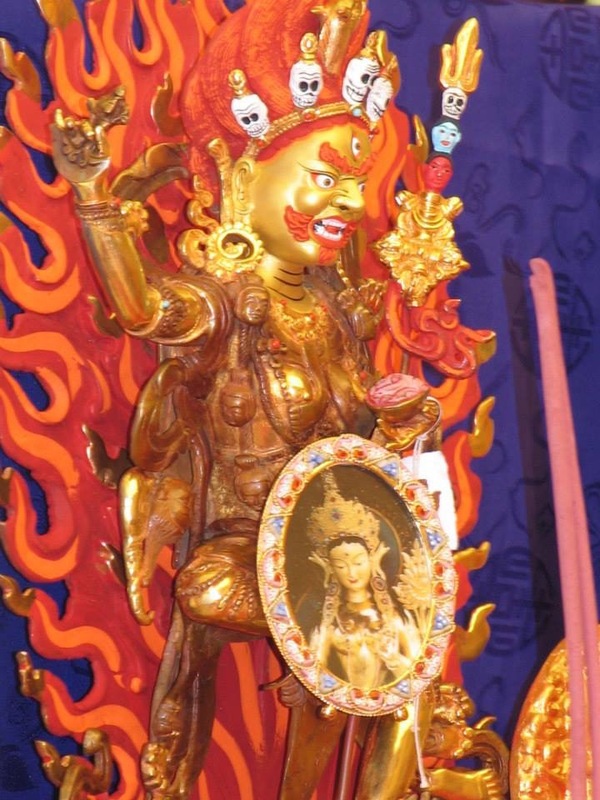 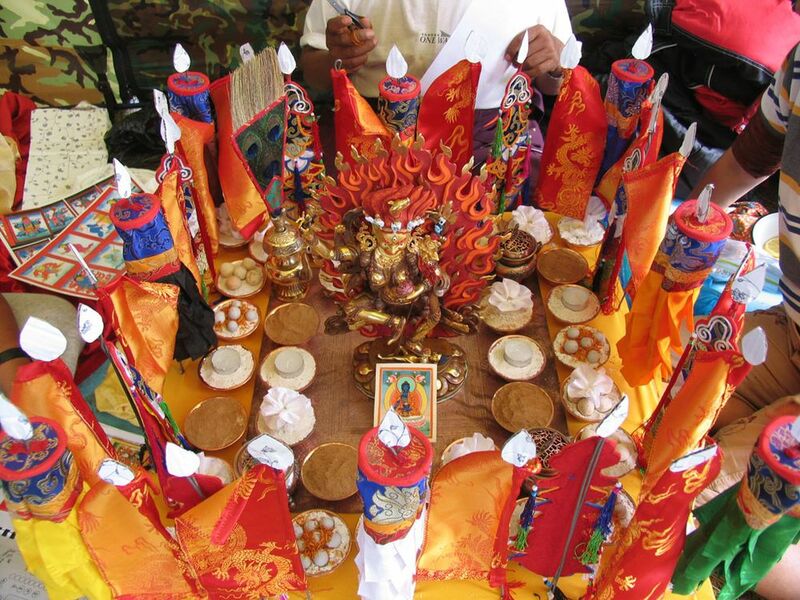 (in Tibetan: "Künsang Changchub Chenpo Thong Drol Chöten"). 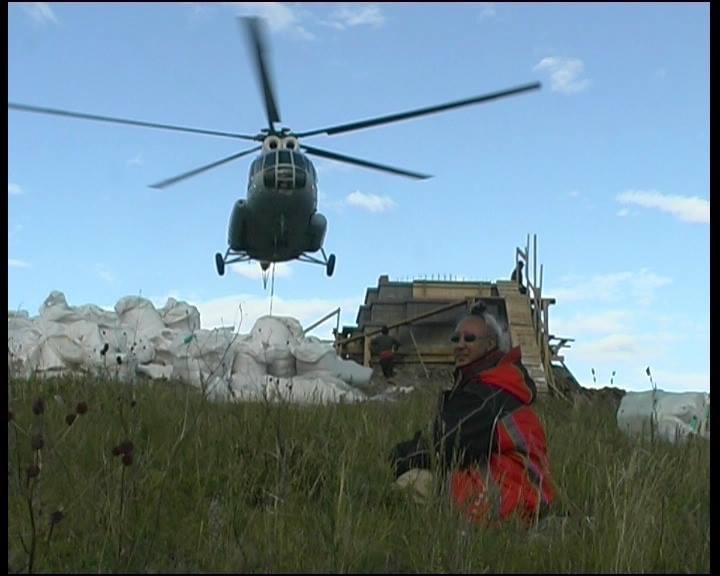 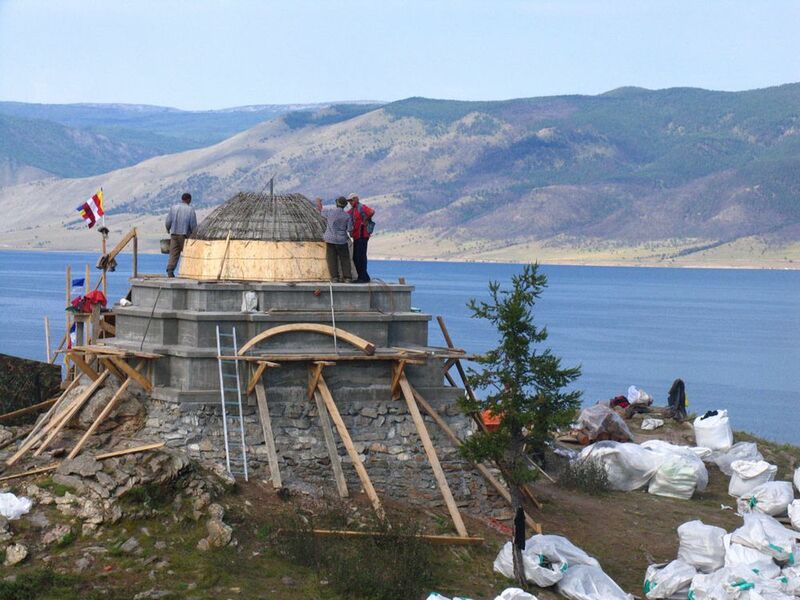 Built in 2004-2005 on the island of Ogoy (Lake Baikal) in the Irkutsk region. 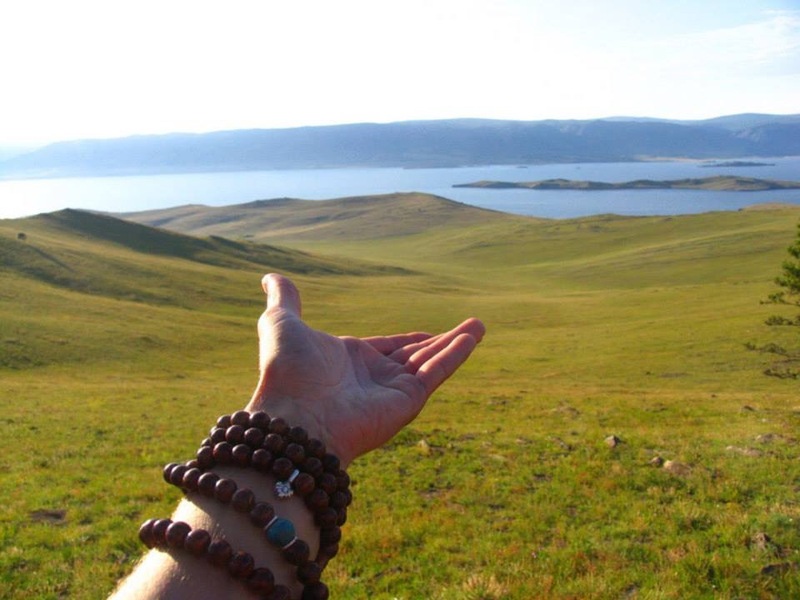 Endure for a long span of time. 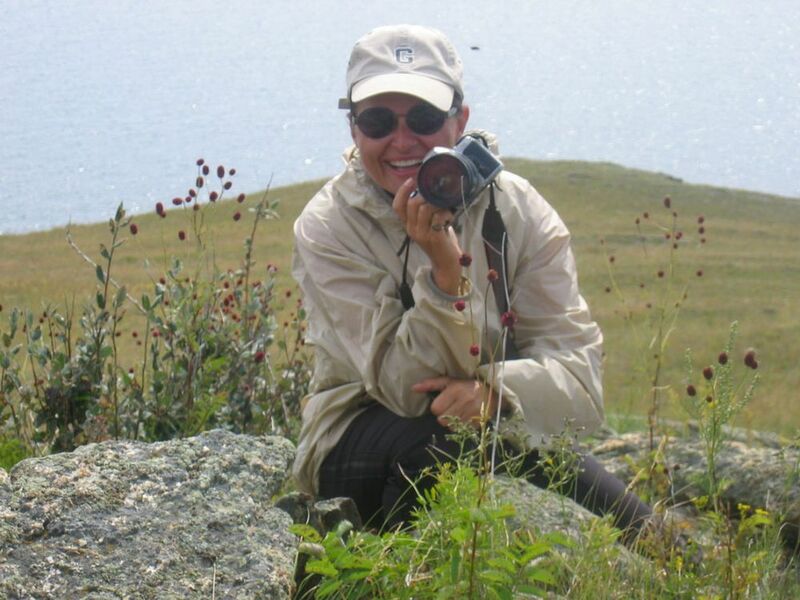 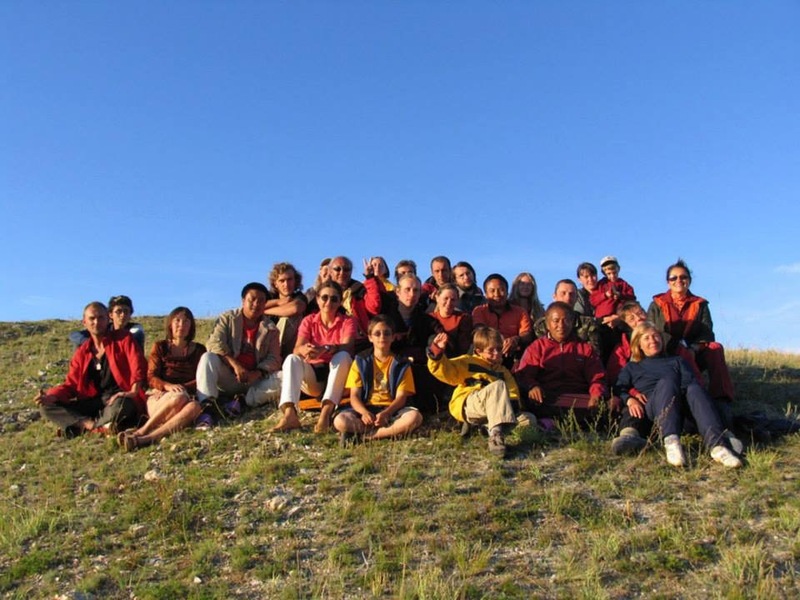 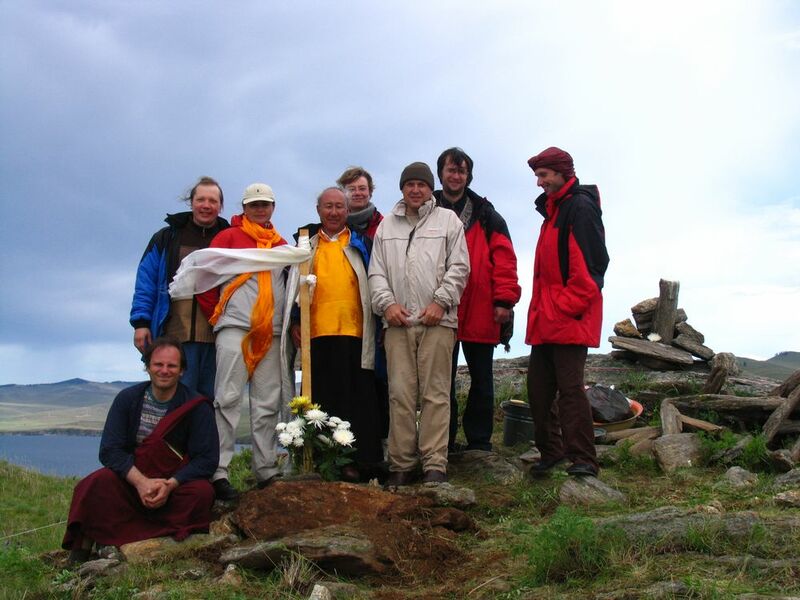 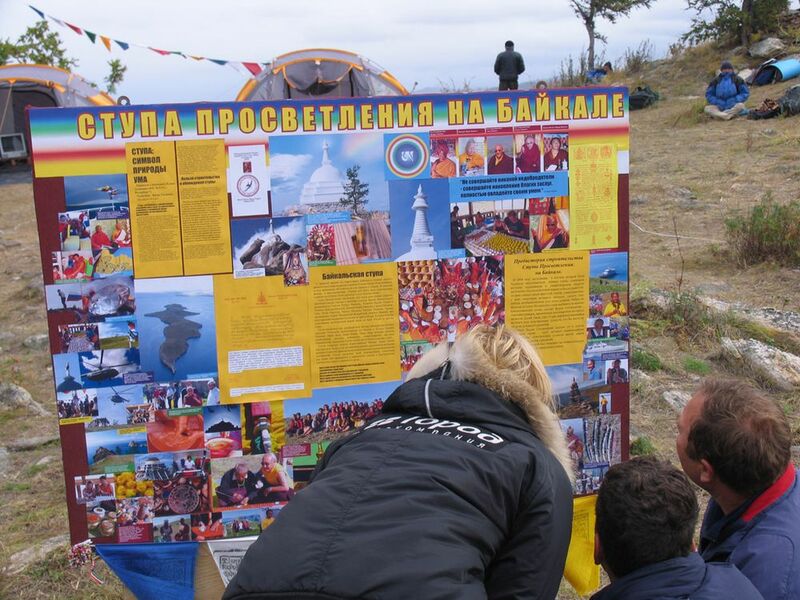 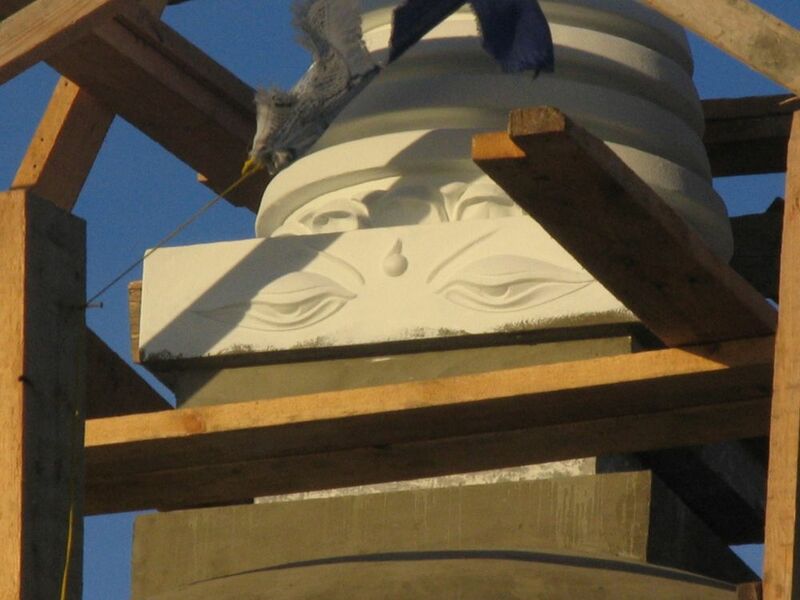 The fact that Irina Machitski, an architect by training, was the one to initiate, sponsor and take part in the building of the Buddhist Stupa hardly comes as a surprise. 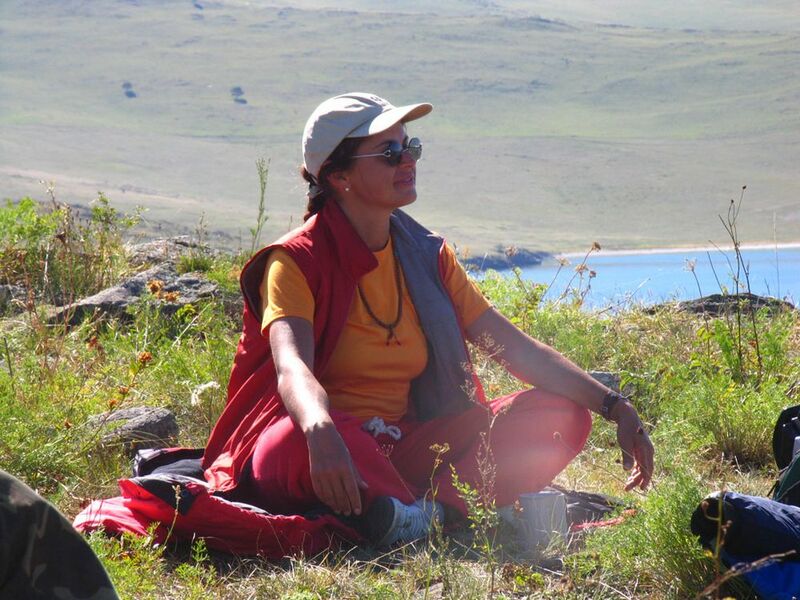 The practice of painting has enriched her with the experience of opening the “Space of Heaven”. 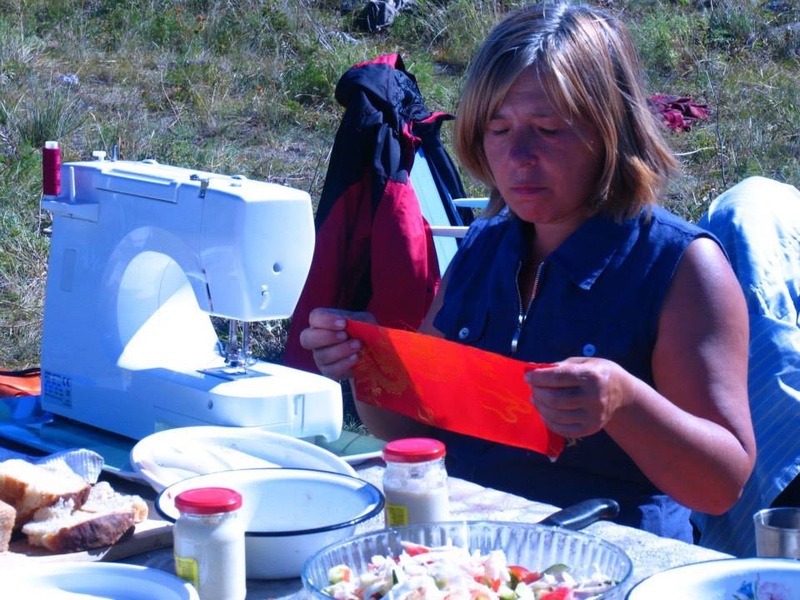 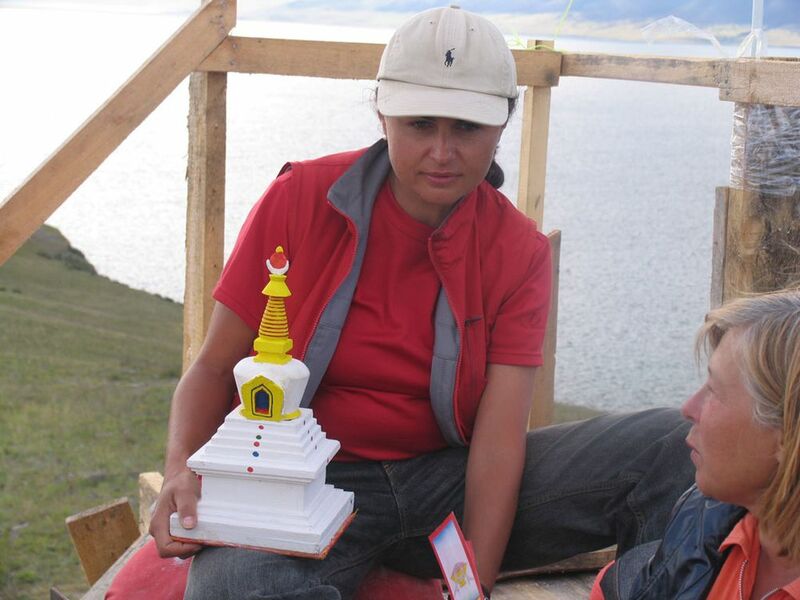 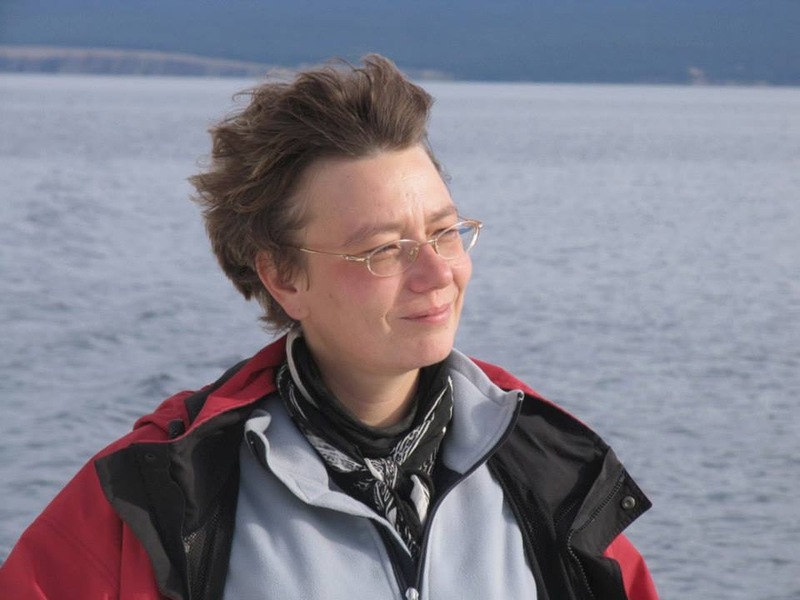 Irina developed the design of the Stupa based on the Tibetan Buddhist canon. 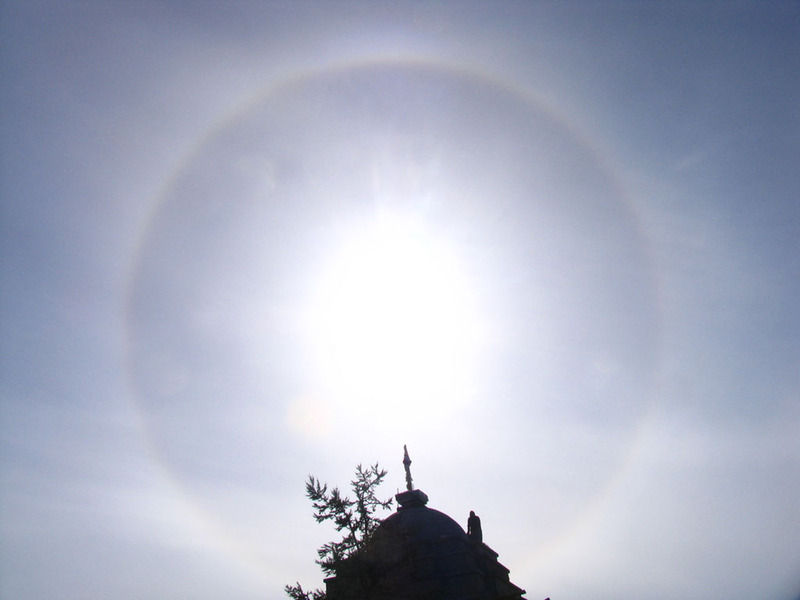 It was an opportunity to unite Heaven, Earth and Mankind. 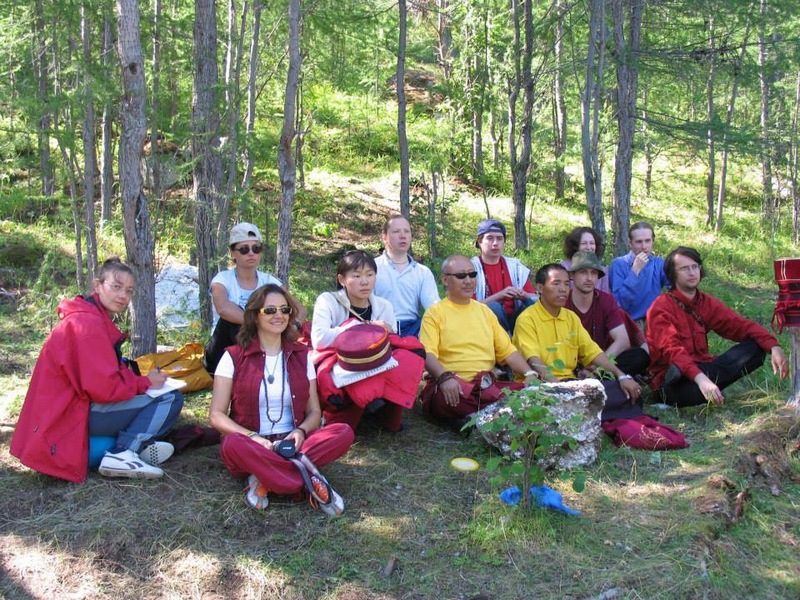 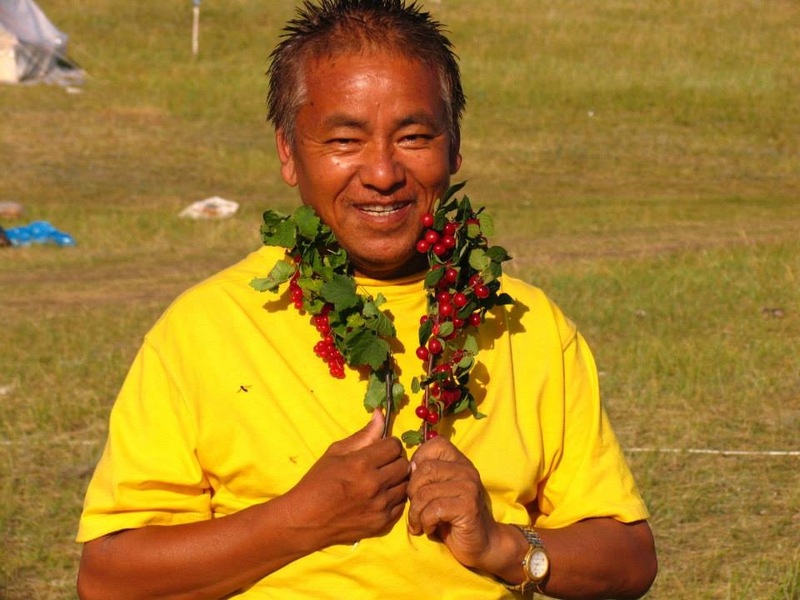 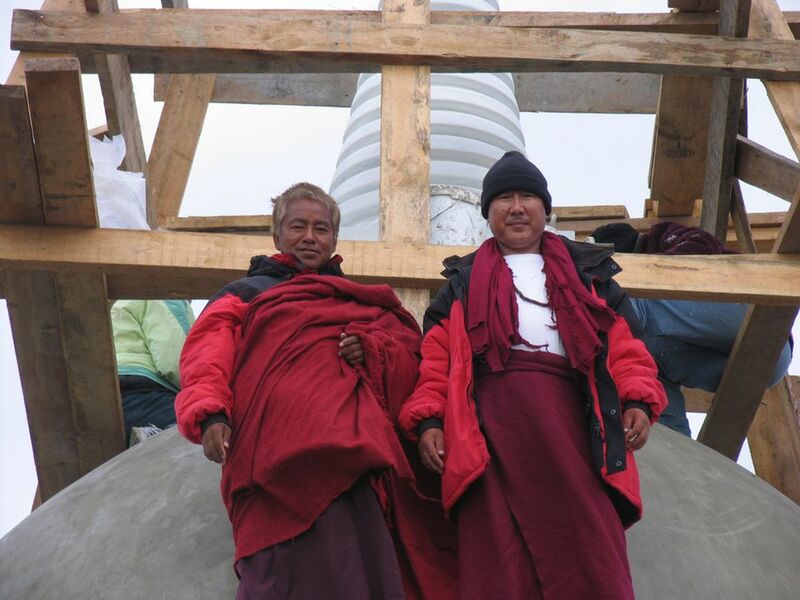 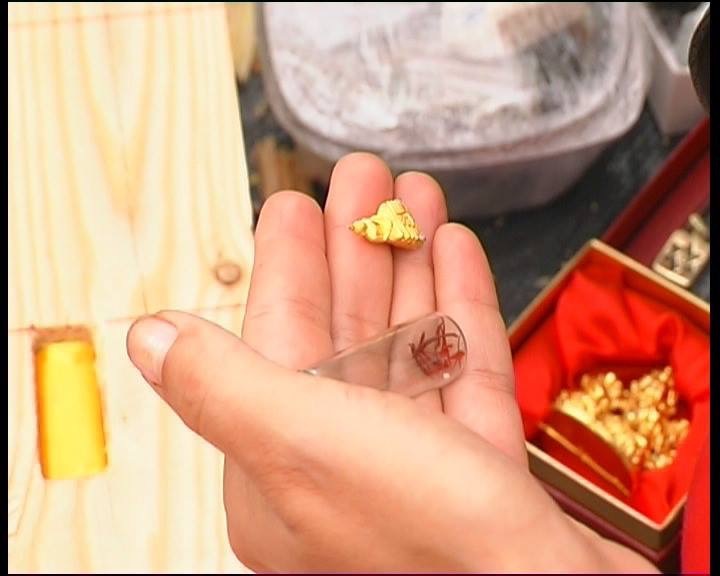 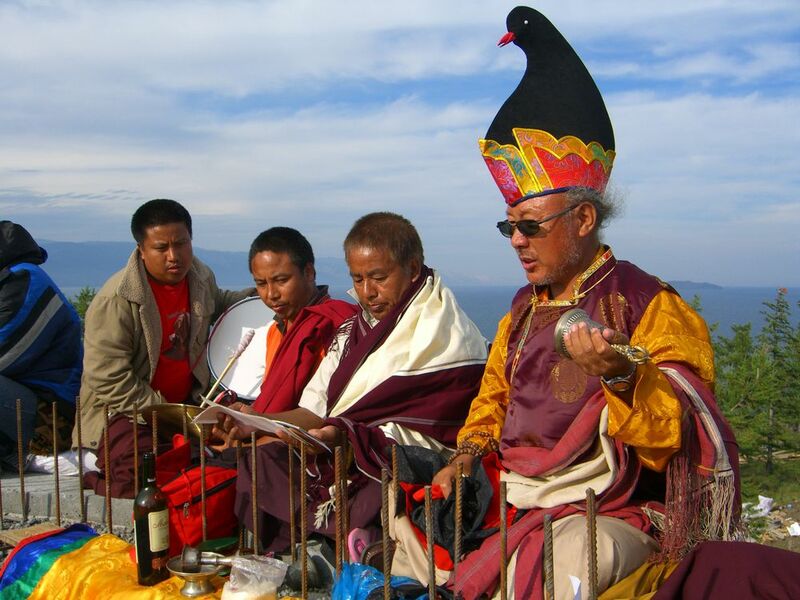 Pema Ranrig Dorje Rinpoche from Nepal and Lama Dola from Bhutan were invited to perform the spiritual rituals reflected in the religious canon on the occasion of the construction of a Stupa. 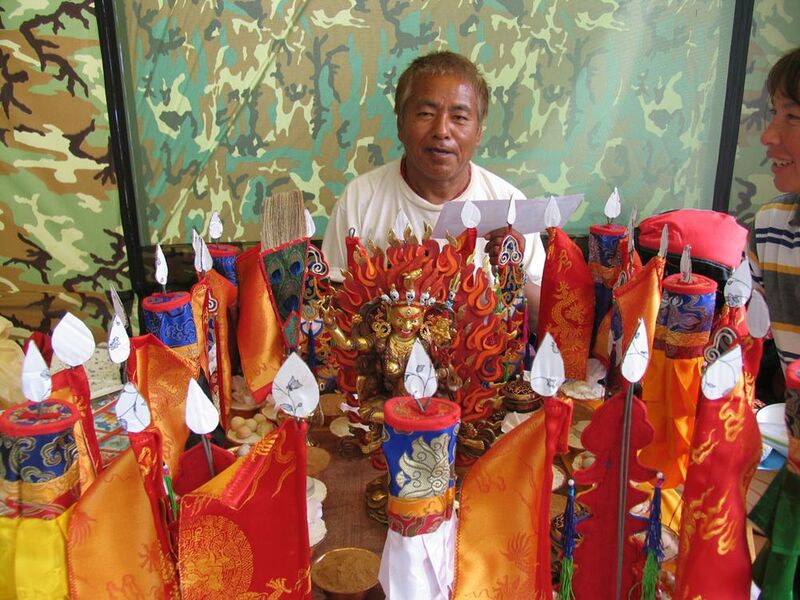 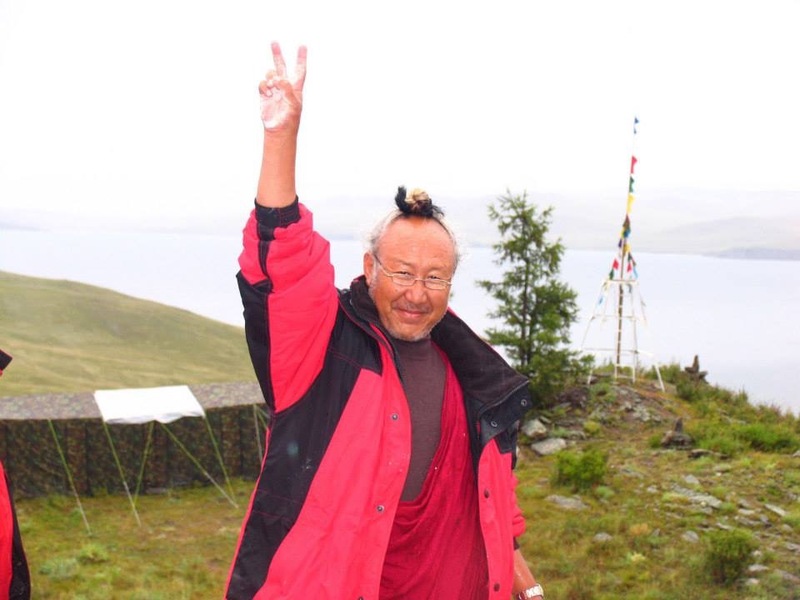 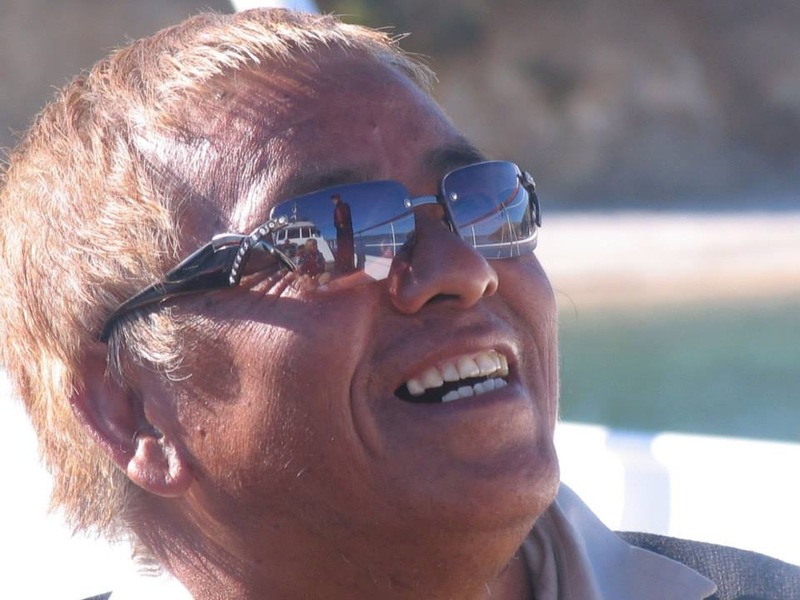 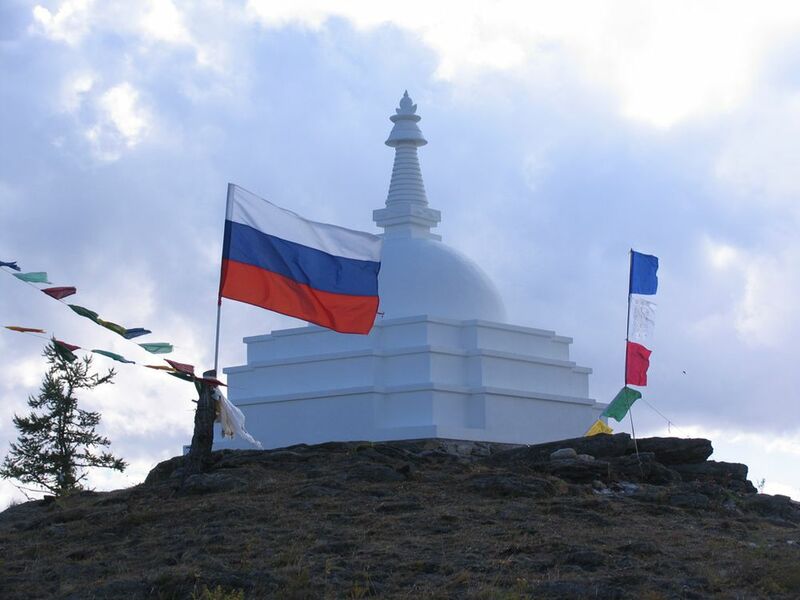 It is significant to note that Lama Dola has participated in the construction of more than 40 Buddhist Stupas around the world. 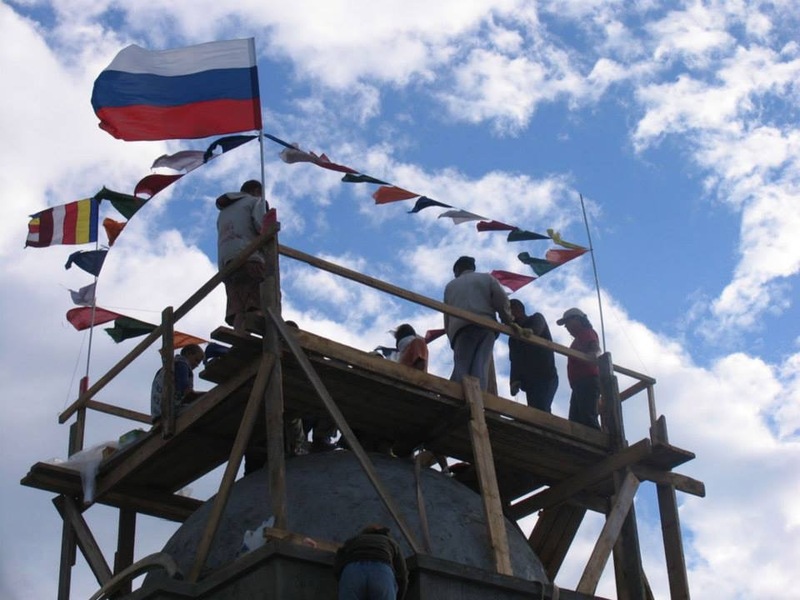 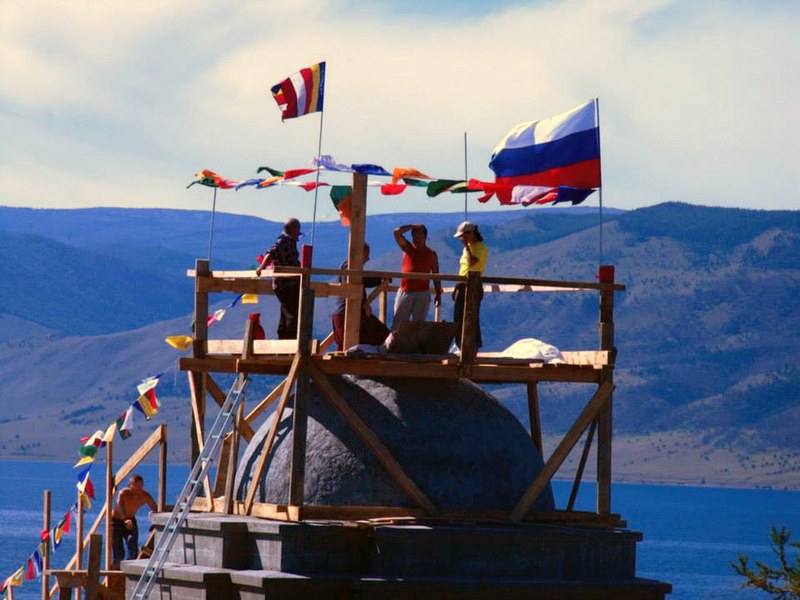 Construction of the All Auspicious Stupa of Great Awakening involved Buddhists and members of other religious faiths from different parts of Russia as well as abroad. 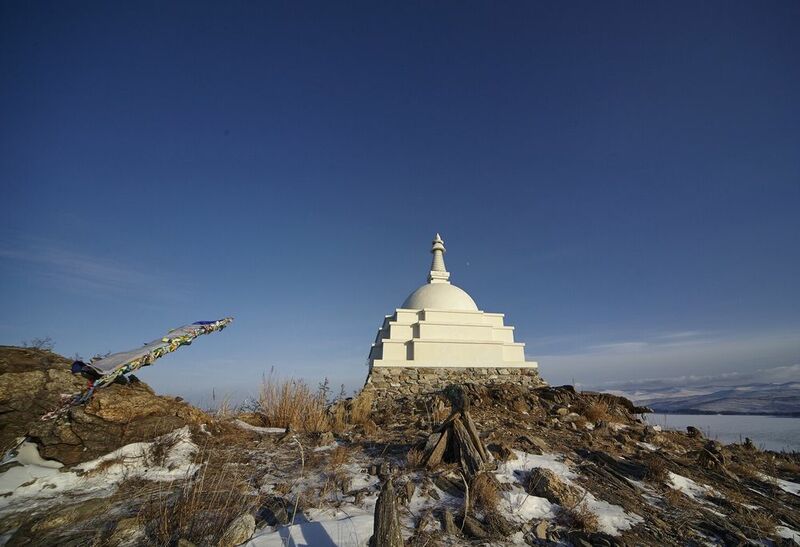 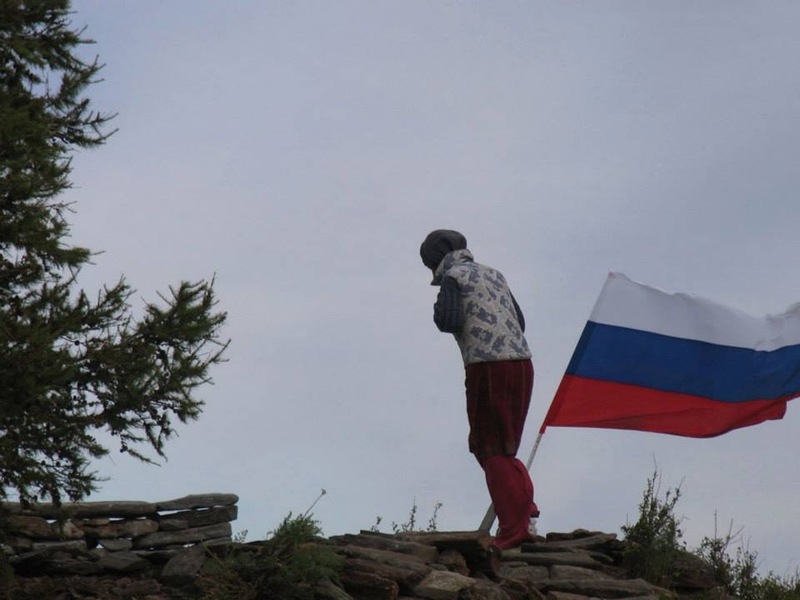 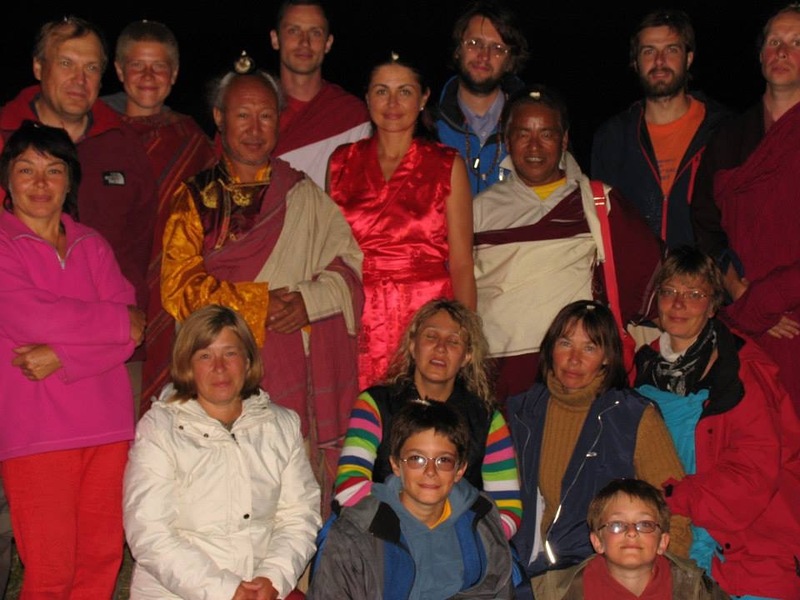 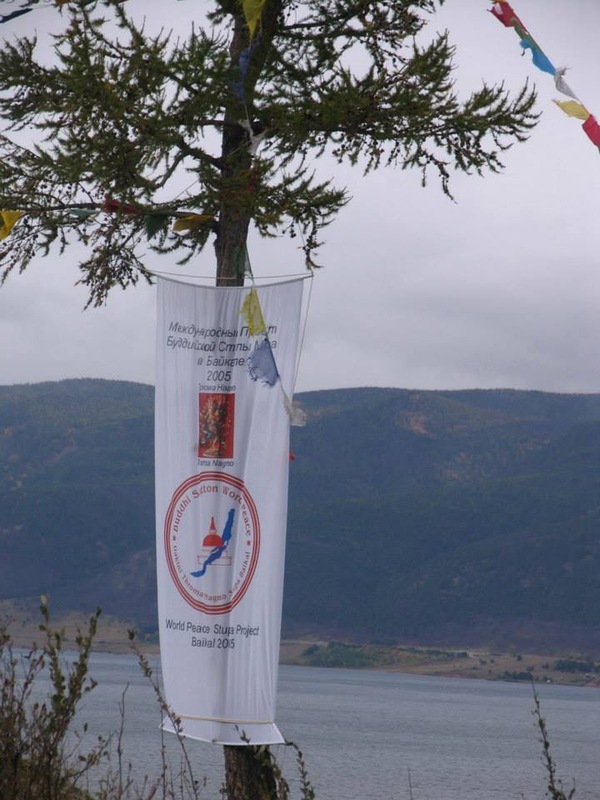 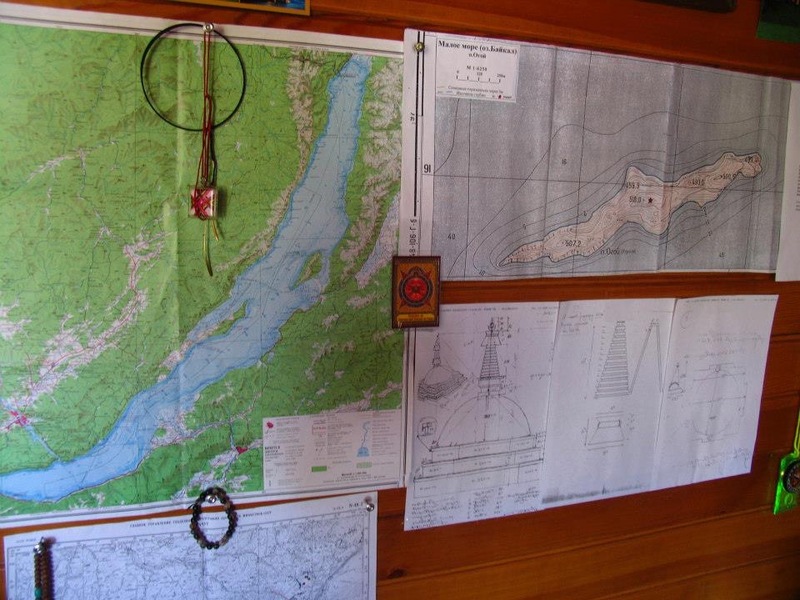 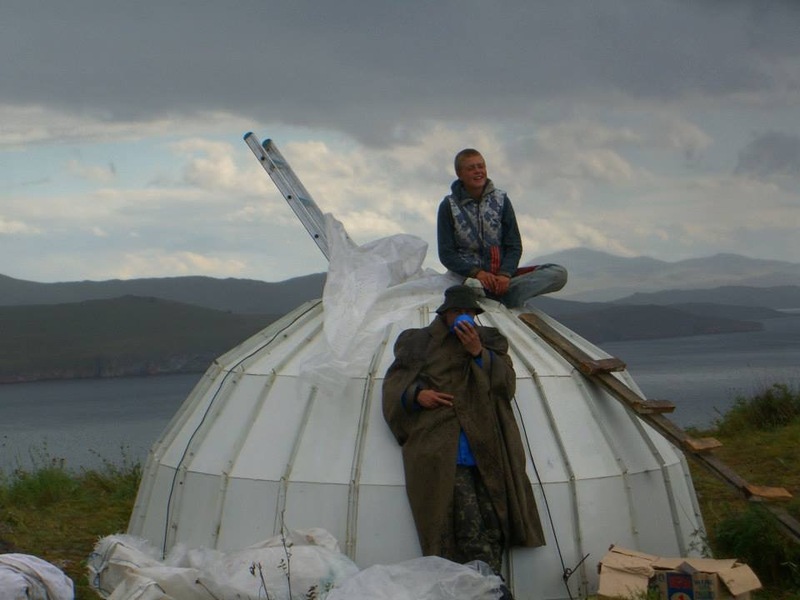 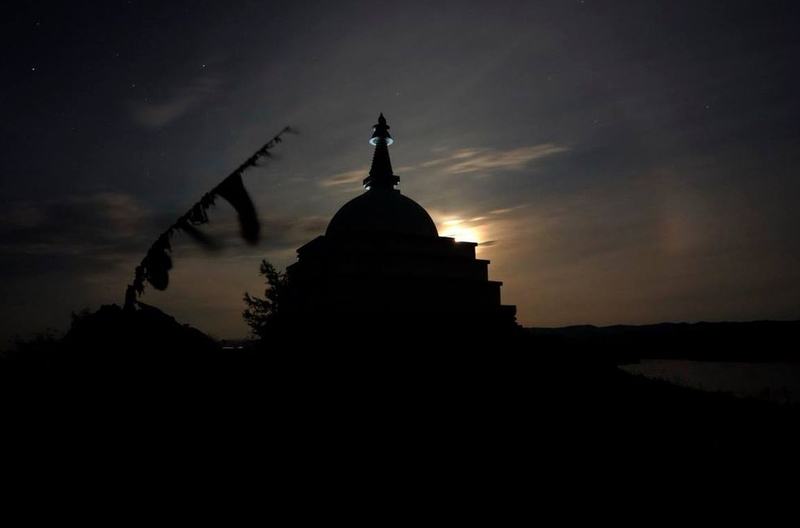 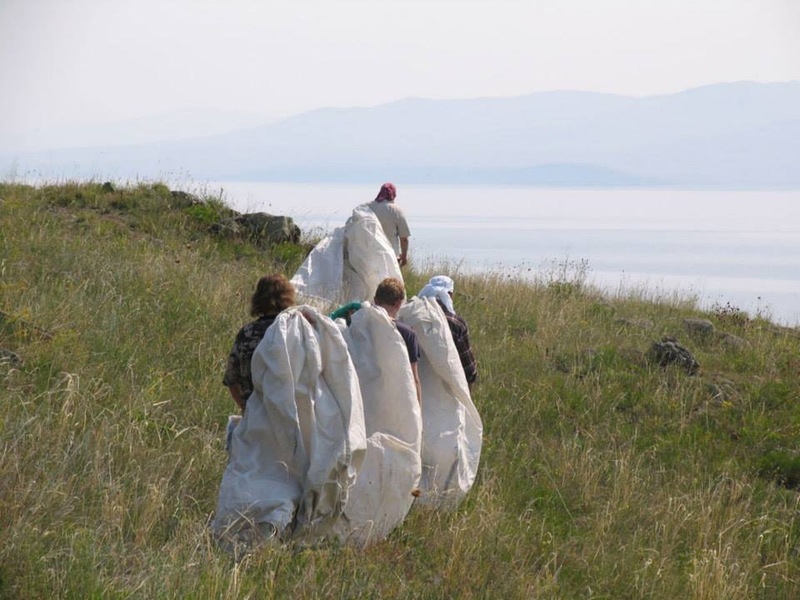 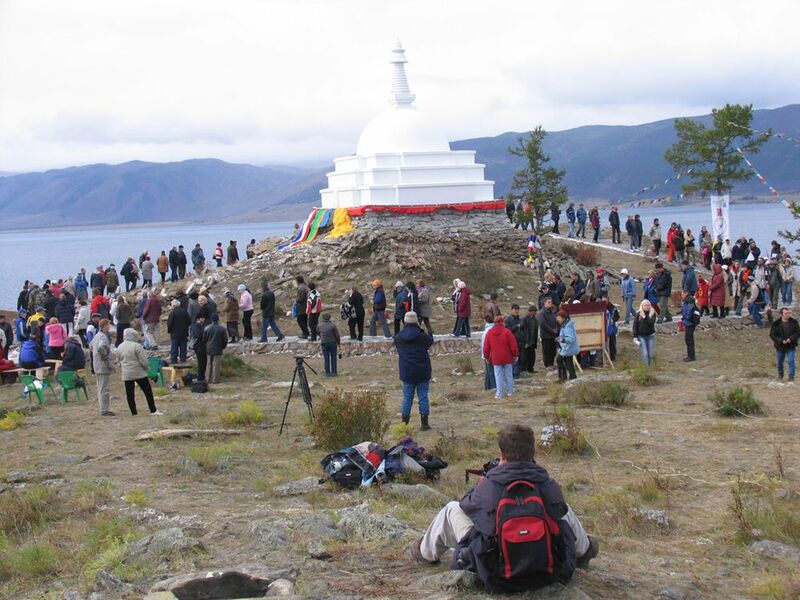 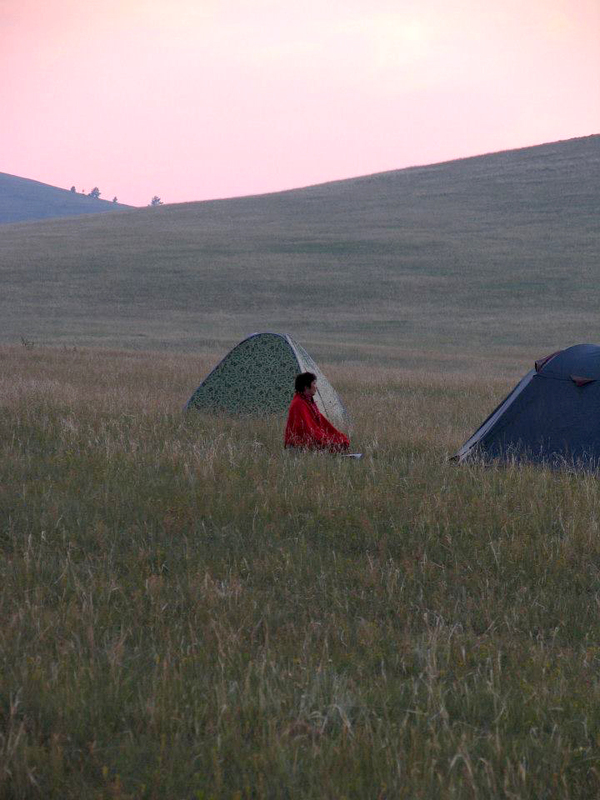 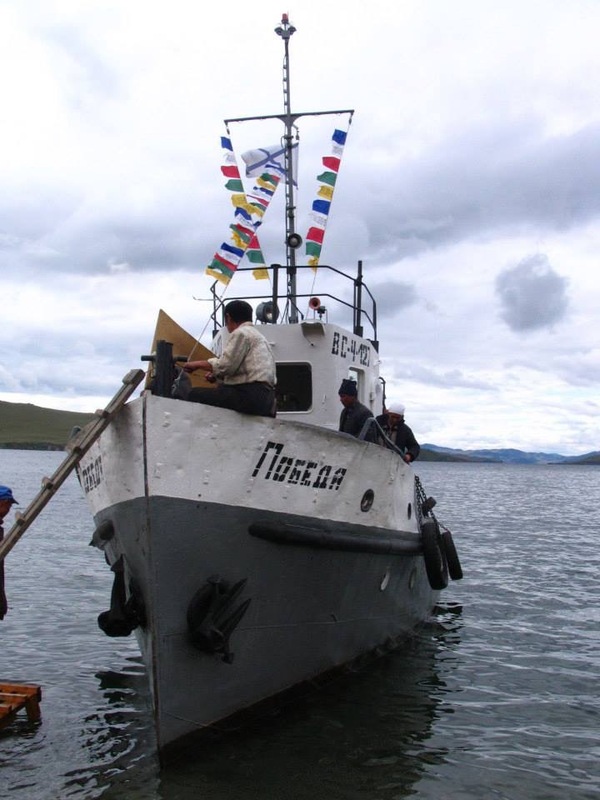 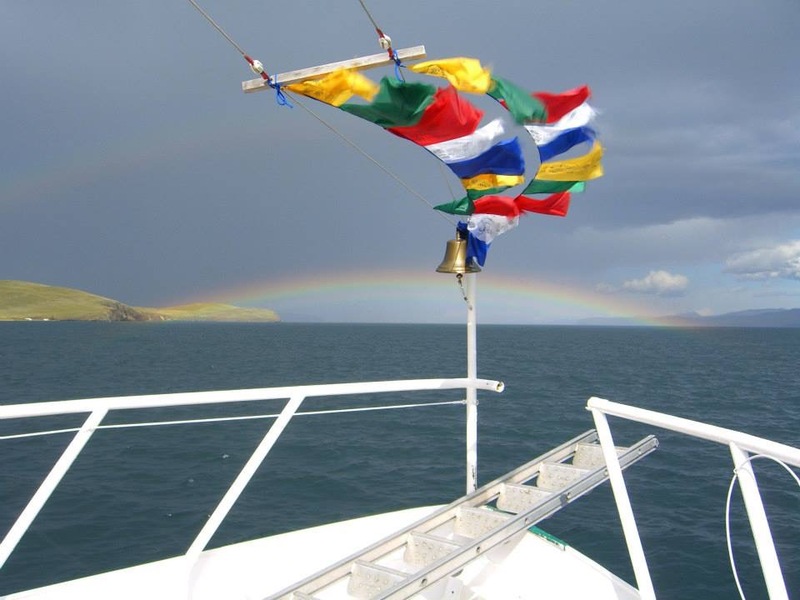 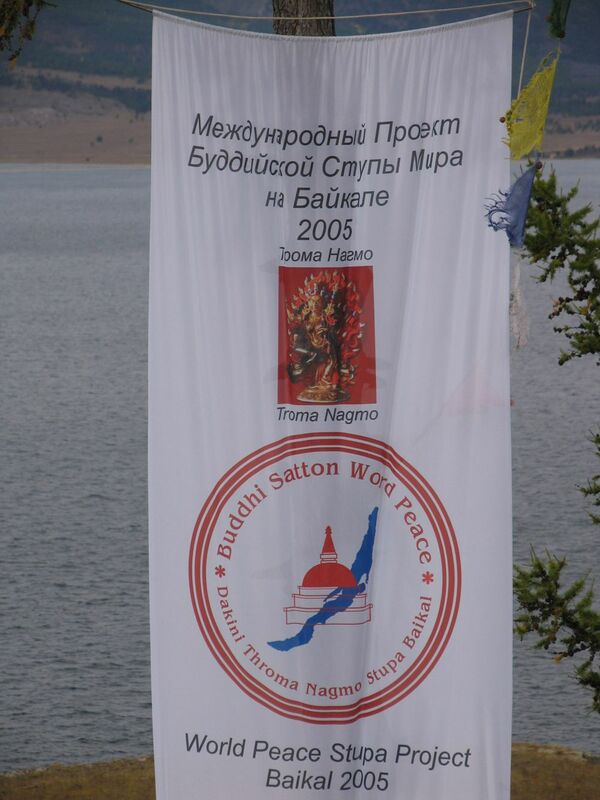 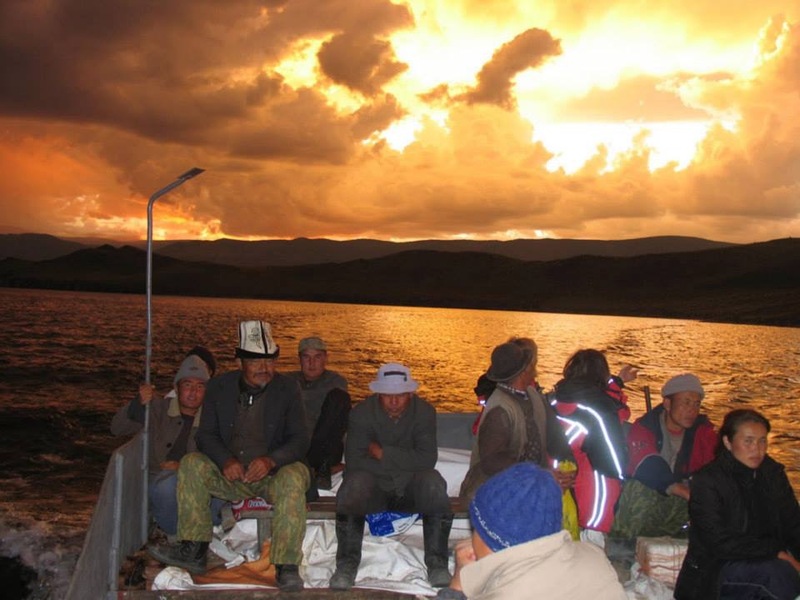 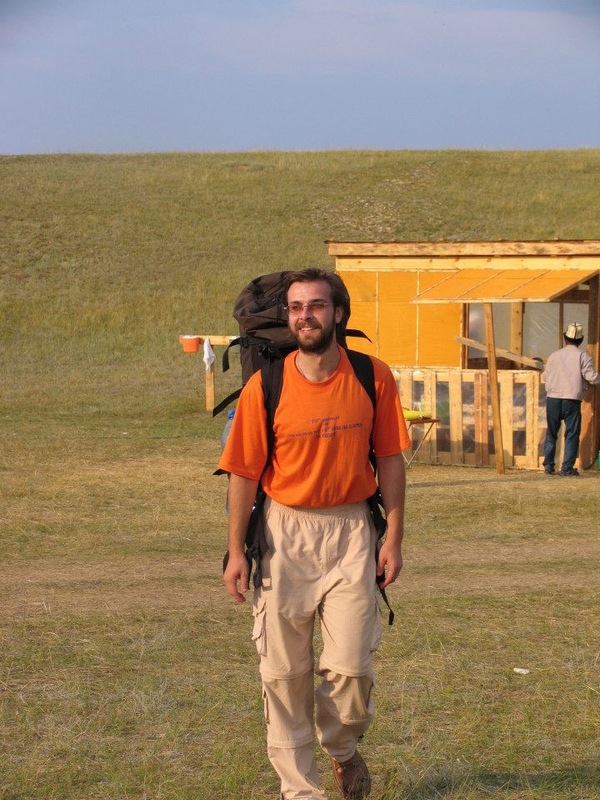 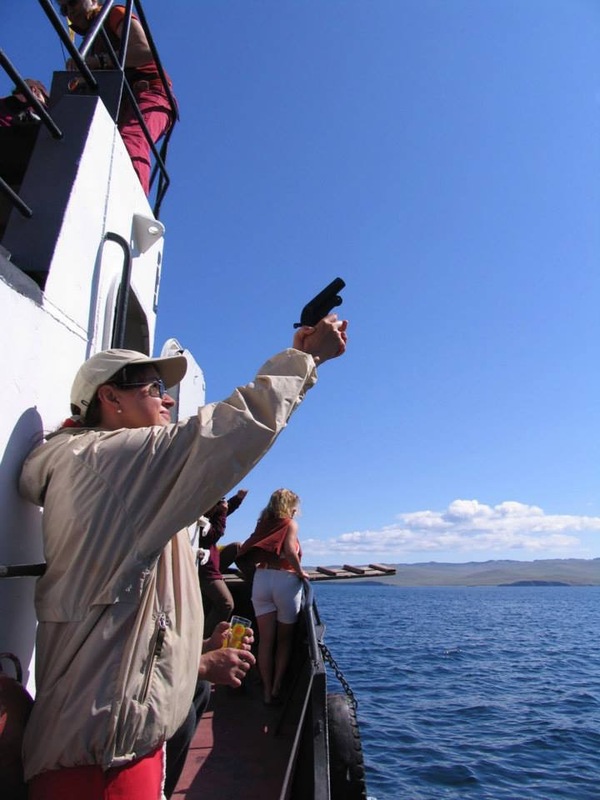 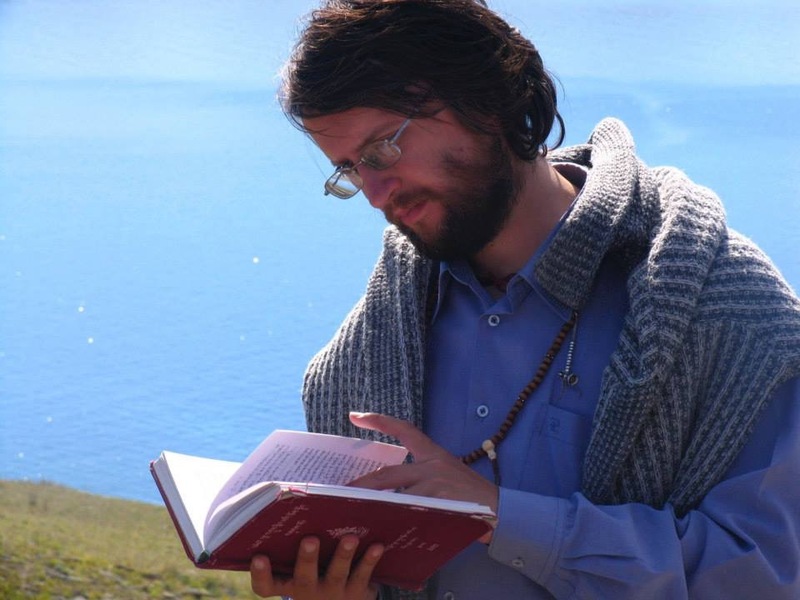 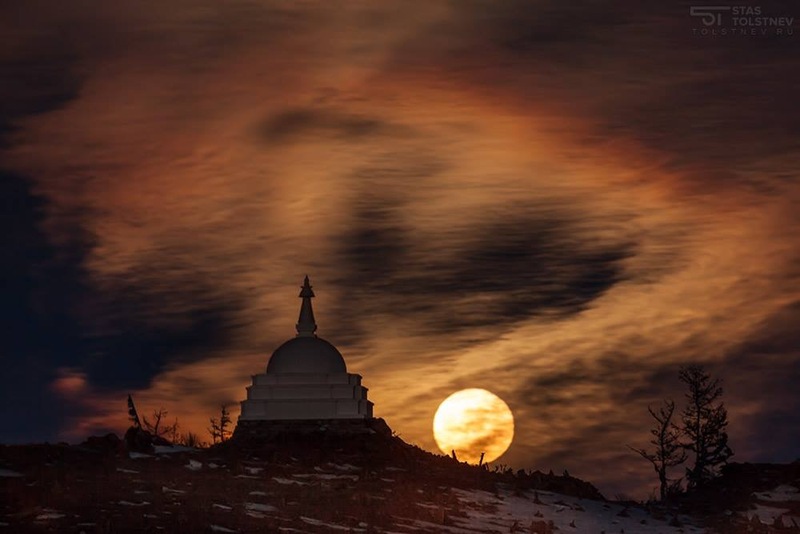 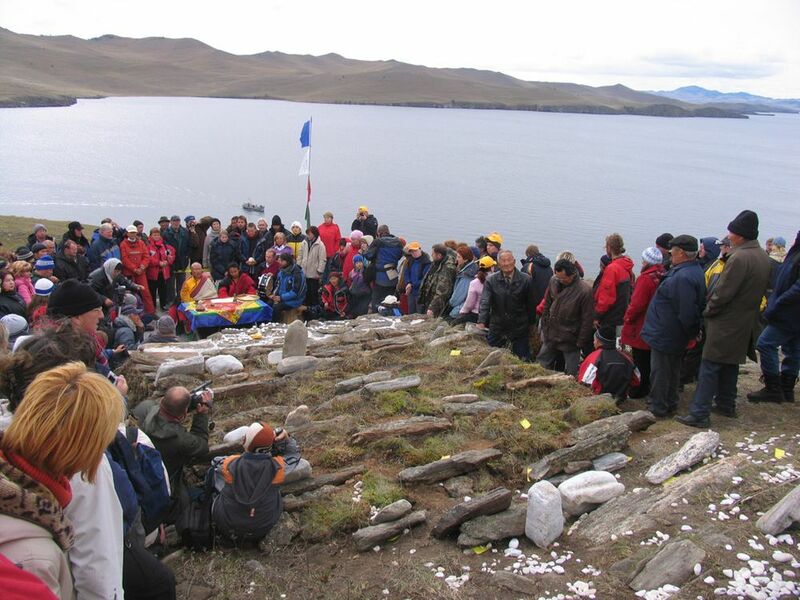 Over the years the Stupa on Lake Baikal has become a place of spiritual pilgrimage. 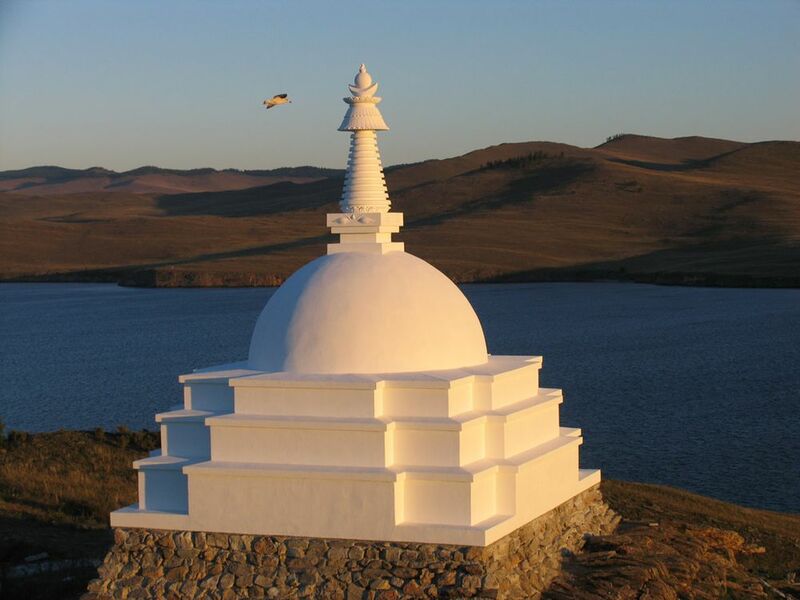 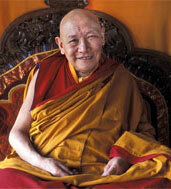 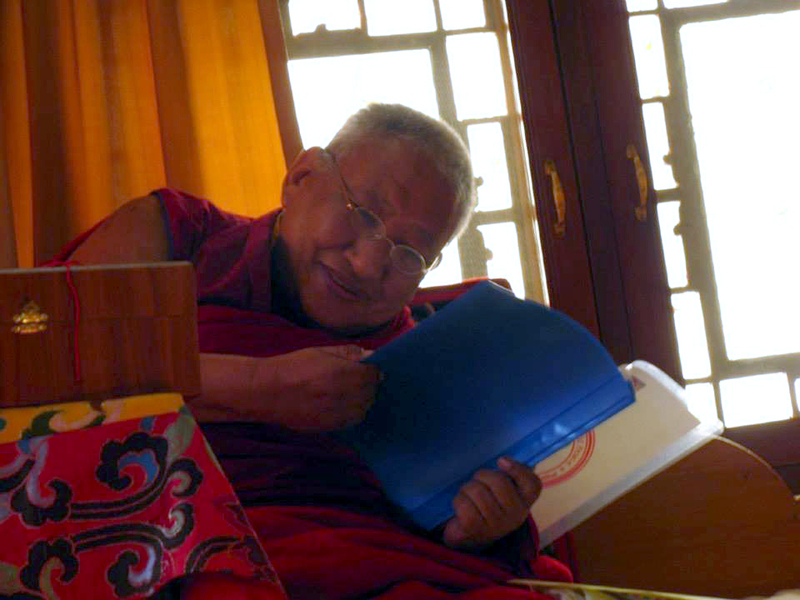 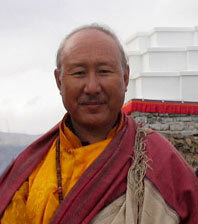 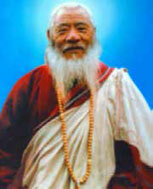 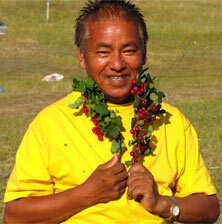 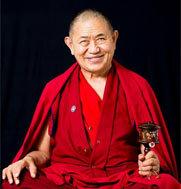 The name of the Stupa was granted by the Kyabje Taklung Tsetrul Rinpoche. 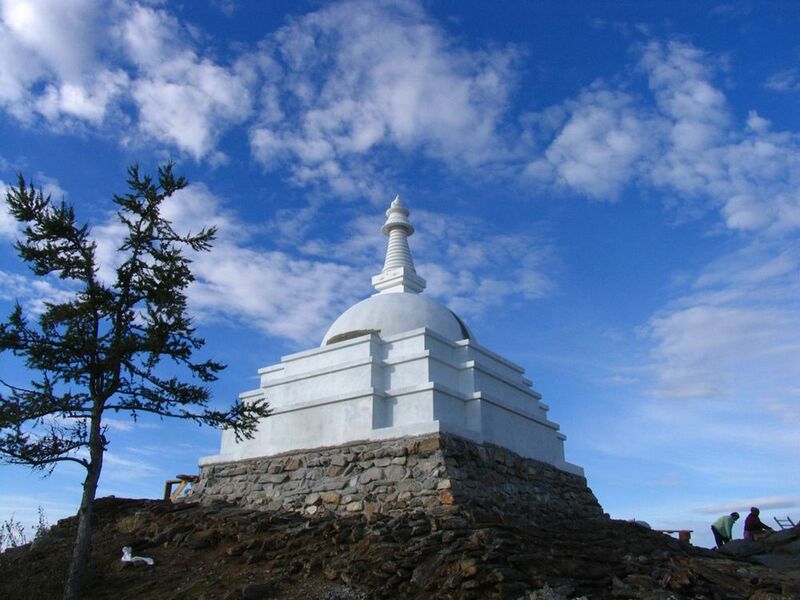 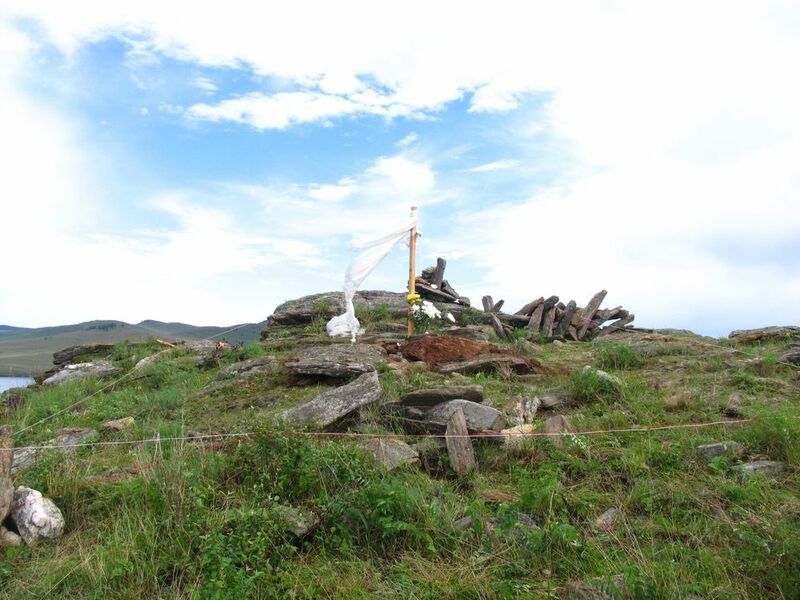 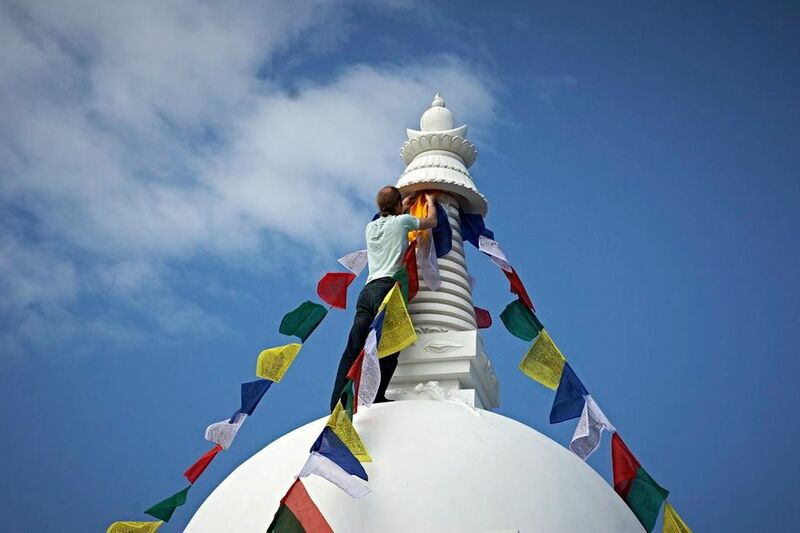 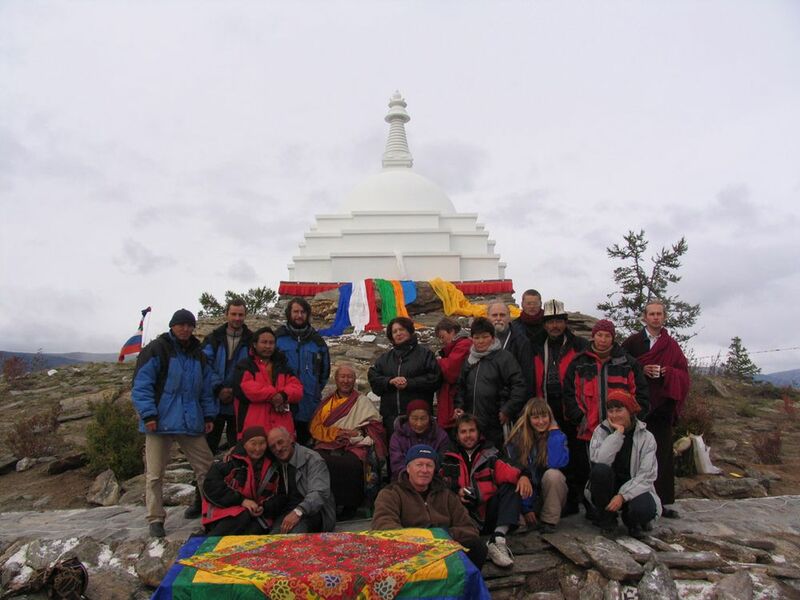 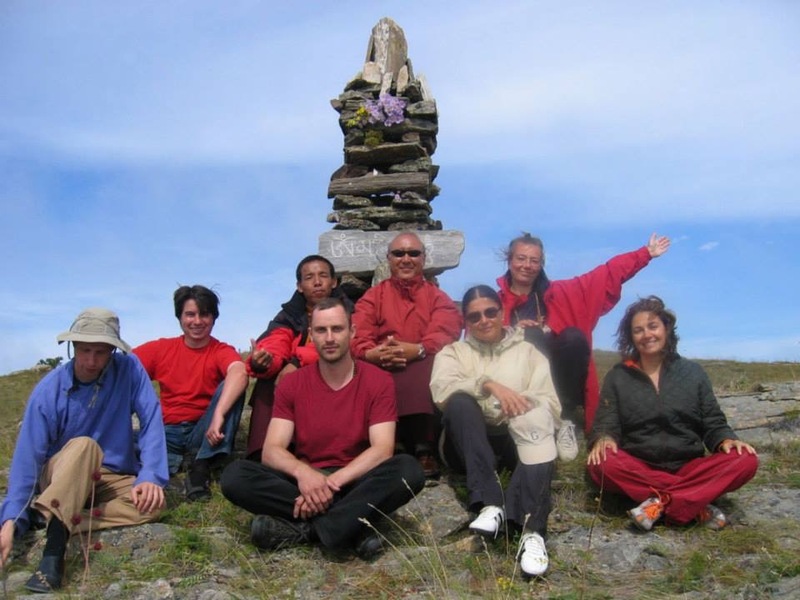 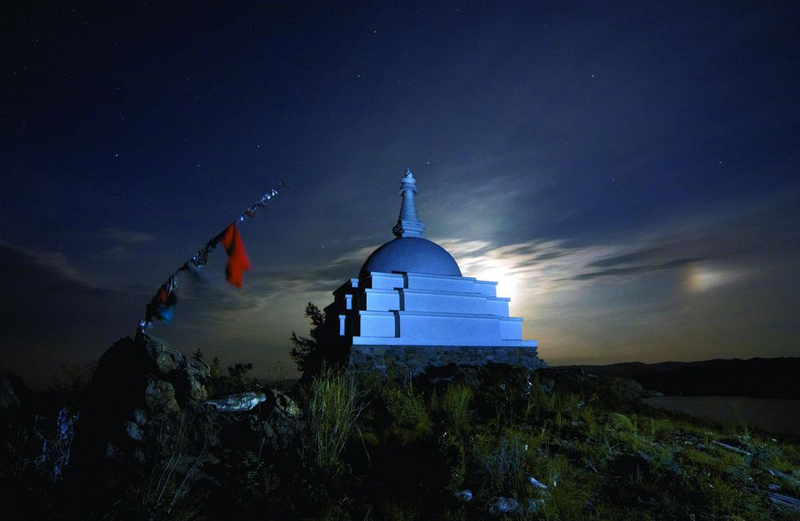 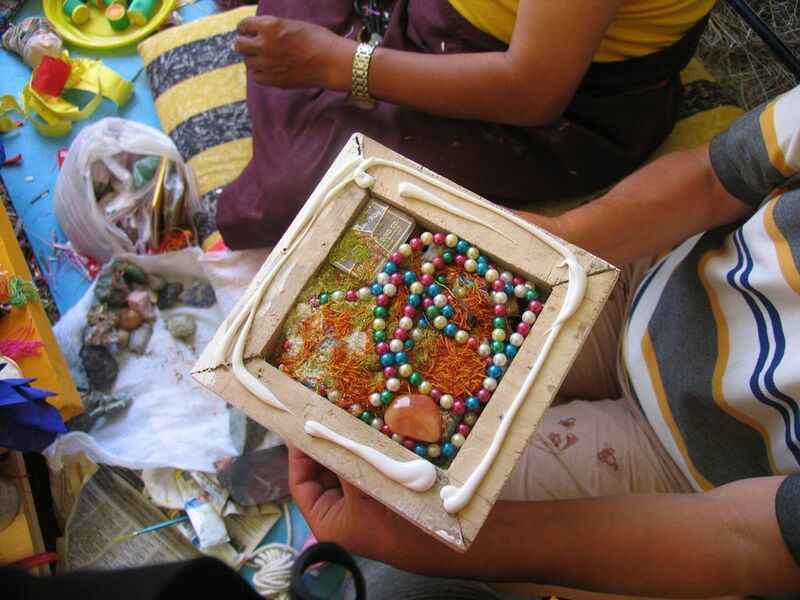 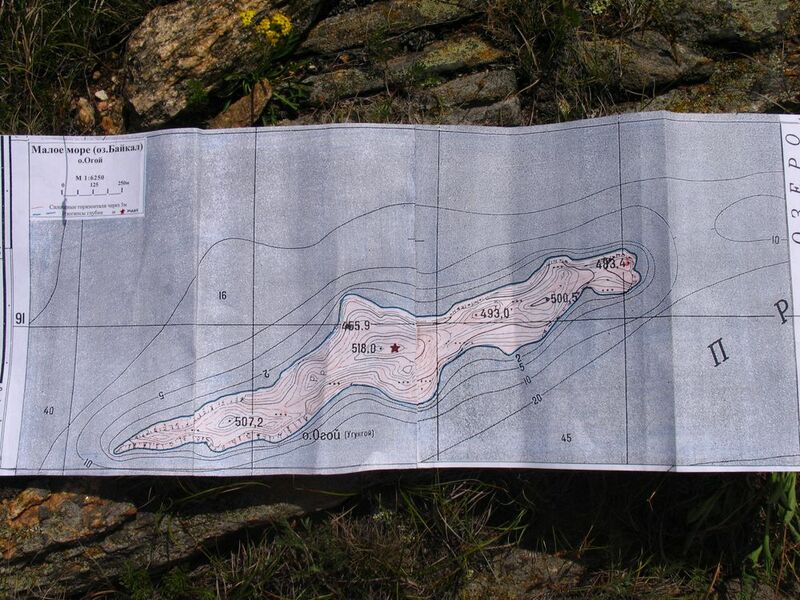 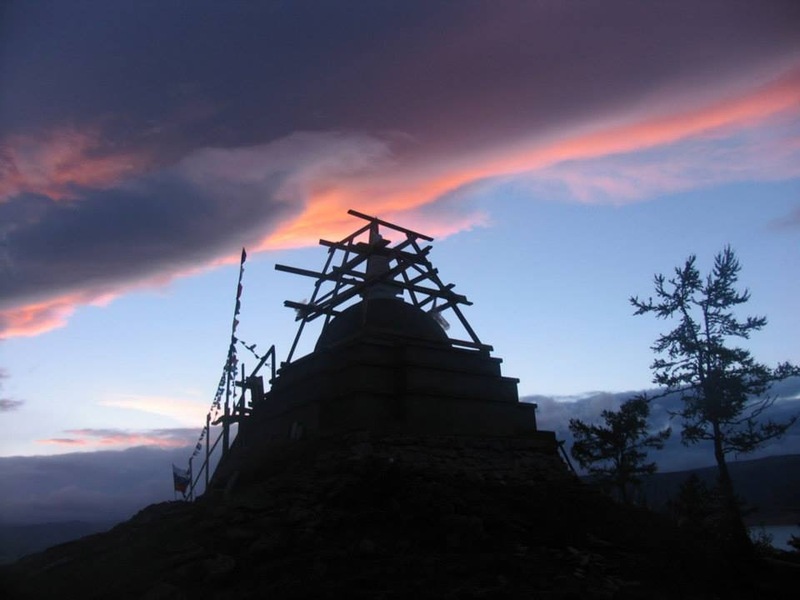 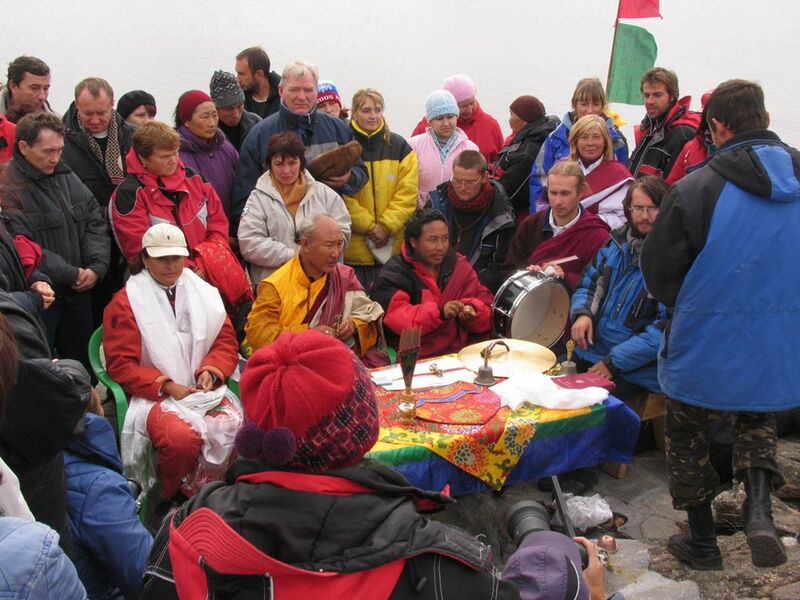 Manfred Zegers defines a Stupa as a “monument contributing to the preservation of peace. 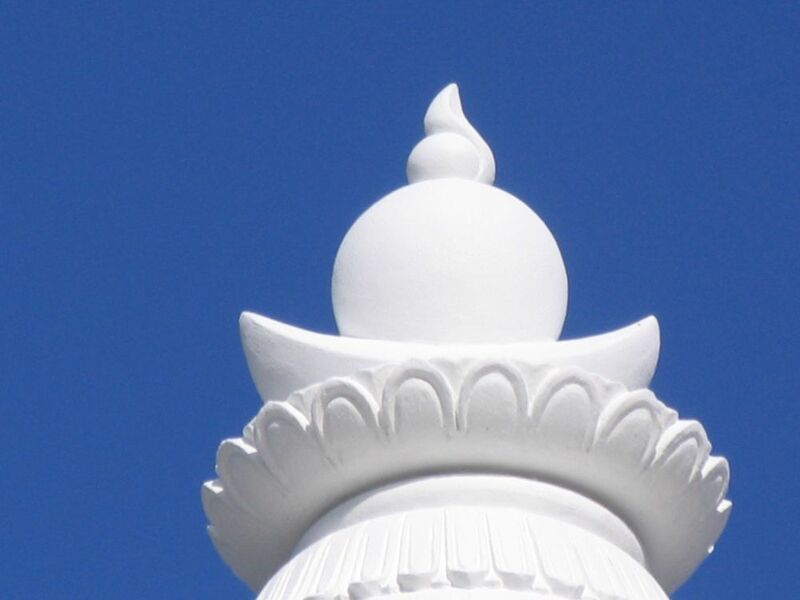 This architectural structure expresses the pure nature of the mind (the enlightenment) in a perfect form. 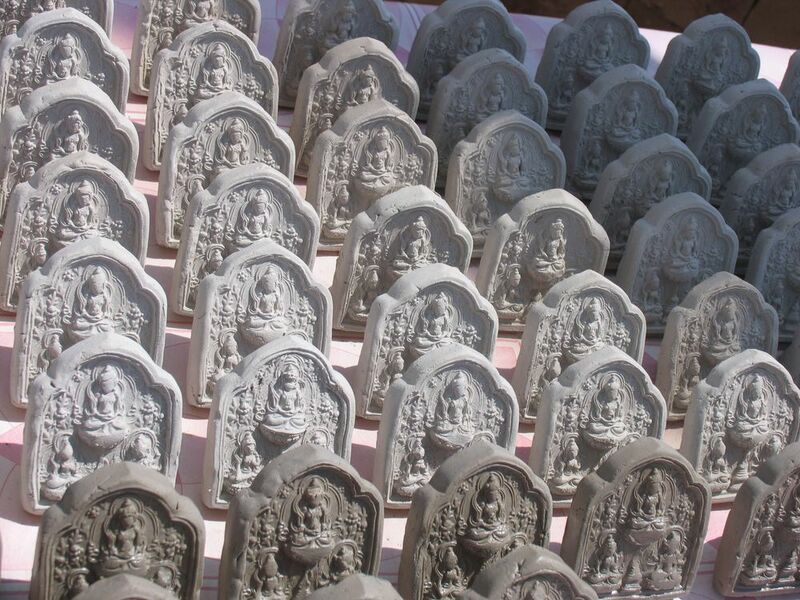 The earliest Stupas were built thousands of years ago in Asia, and they still have a positive effect on the force field of the whole universe.” “Stupas of Awakening” are intended to serve for the benefit of all living beings. 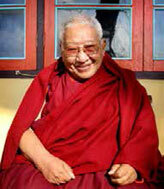 They prove the existence of goals higher than competition and struggle, acquisition and loss in our lives. 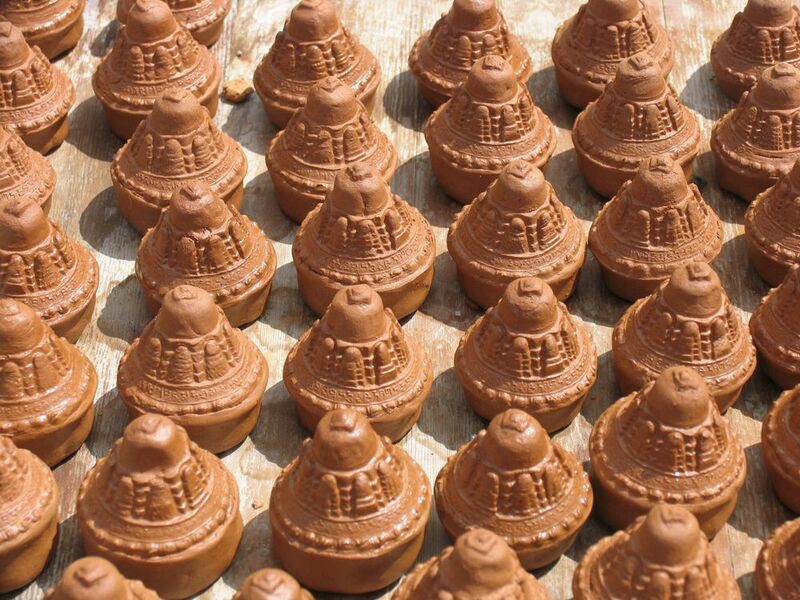 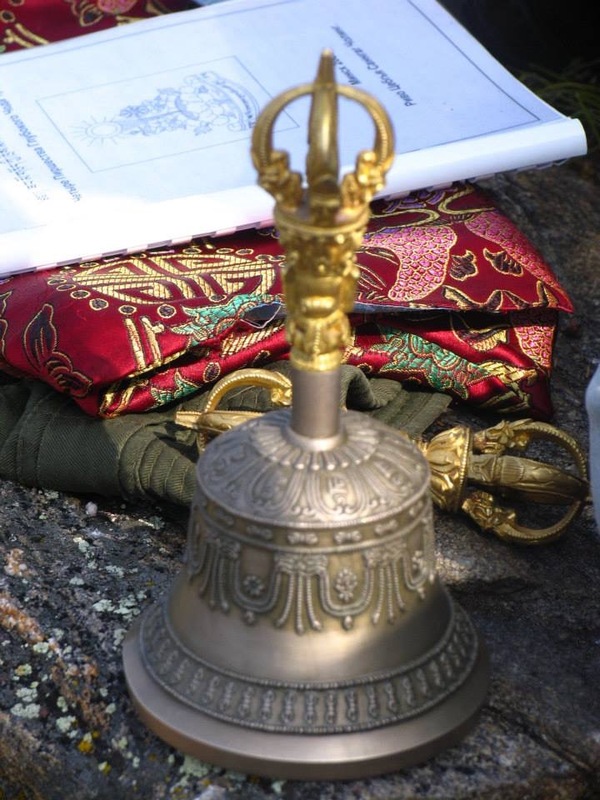 Stupas help people to fully exercise their capacities on both a conscious and subconscious level. 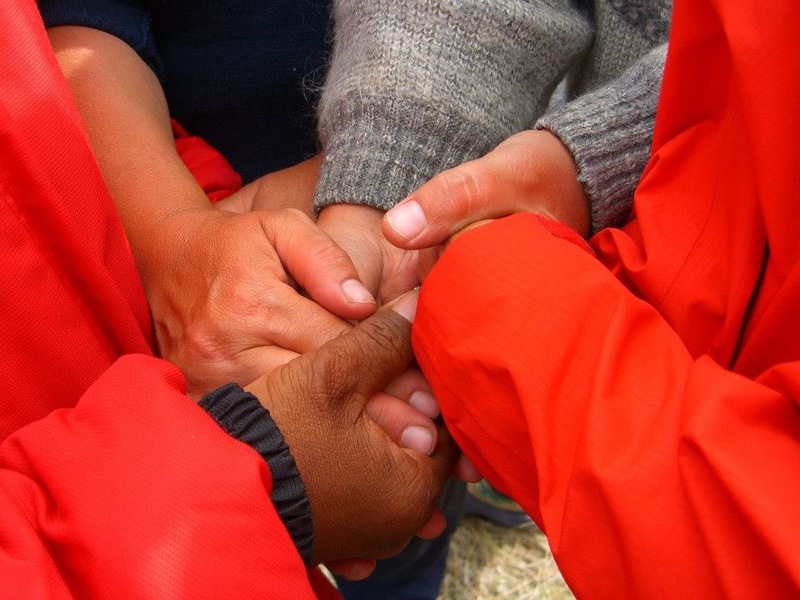 They contribute to the cessation of wars, to the pursuit of peace in the world.